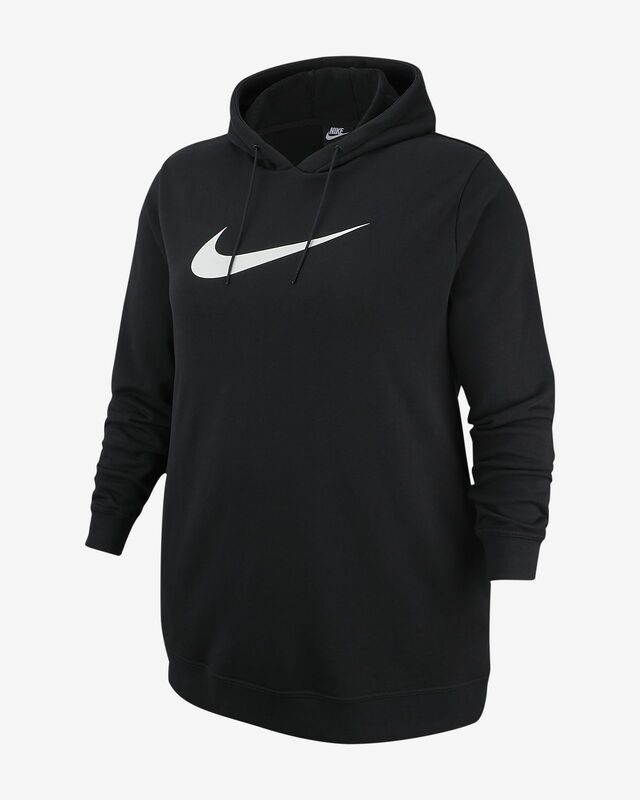 The Nike Sportswear Swoosh Dress invigorates your favourite hoodie with a long hem for a classy look and comfortable coverage from day to night. Its ribbed details help make sure the dress doesn't ride up. The Nike Sportswear Swoosh Dress invigorates your favourite hoodie with a long hem for a classy look and comfortable coverage from day to night. Its ribbed details help make sure the dress doesn&apos;t ride up. Oversized design layers easily and falls above the knees. A ribbed hem and cuffs help retain your body heat and keep the dress in place.